Hikers around the country will take to high-travel trails to haul out trash and continue the Packing It Out mission. 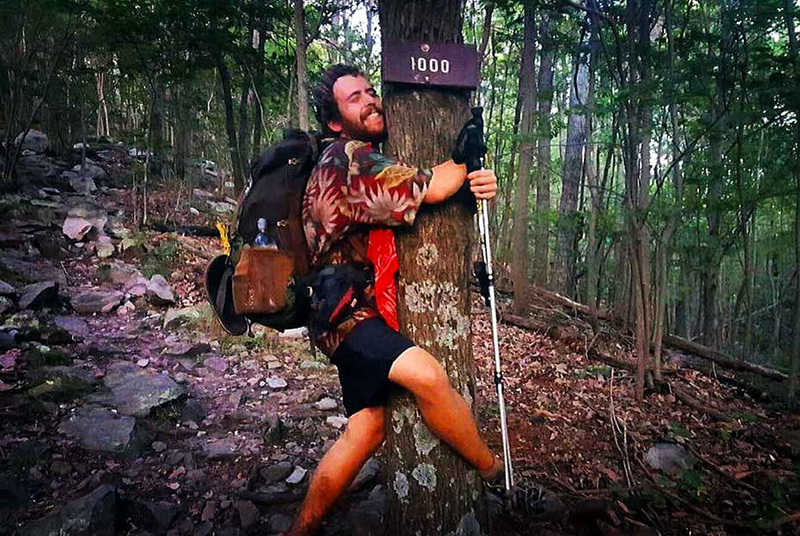 Minnesota-based Granite Gear announced this month it will sponsor a crew of 15 dedicated “Leave No Trace” thru-hikers to clean up America’s hiking trails. The brand selected its Grounds Keepers team to build on the success of the 2015 and 2016 Packing It Out (PIO) initiatives, which removed more than 1,700 pounds of trash from the Appalachian and Pacific Crest trails. The Superior Hiking Trail, Pacific Northwest Trail, and Arizona Trail are among those set for cleanup this year. Grounds Keepers will also pack out trash along the AT and PCT. The Grounds Keepers team is composed of experienced thru-hikers who have already traversed major trails. The first of the 2017 missions launched in January. Gretchen “Dirty Bowl” Matt has packed 13 lbs. and counting from the 1,000-mile Florida Trail. Last year, Seth Orme and Paul Twedt finished a thru-hike of the PCT. 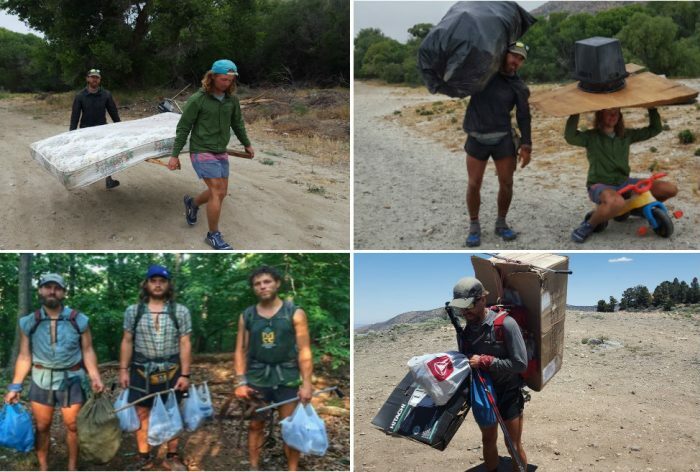 They searched, found, and packed out trash along the way. The year before that, the duo hiked the AT and hauled out more than 1,000 pounds of refuse. Granite Gear is one of the crew’s founding sponsor. GearJunkie is Packing It Out’s media partner. We host a blog from the crew, and last year produced a film, ‘Packing It Out: Cleaning America’s Wild Trails,’ which is now showing at venues around the world (via the Banff World Tour). GearJunkie will soon announce details on the Packing It Out project for 2017. As noted, the Grounds Keepers program already kicked off, and during the course of this year’s cleanups participants will update their progress on a blog and post Instagram photos from the trail. They will use custom Granite Gear Grounds Keepers kits for the effort. The kits include a backpack and equipment to clean up trash as you hike. Granite Gear is providing its Crown2 backpack, Dump Trunk bag, 16-liter sacks (for trash), a trash-grabber stick, and a small scale to weigh what is collected along the way. GearJunkie is proud to sponsor Packing It Out, and we welcome the Grounds Keepers crew to the trail. It’s an effort that will tangibly make our trails better, and it will hopefully inspire others to bring a bag, pick up litter, and clean up the places we love. previous:Glacial Play: World’s Most Extreme Theater?